What is a Repair Café? The first Repair Café was set up in Amsterdam in 2009 and there are now around 1,400 Repair Cafés all over the world. 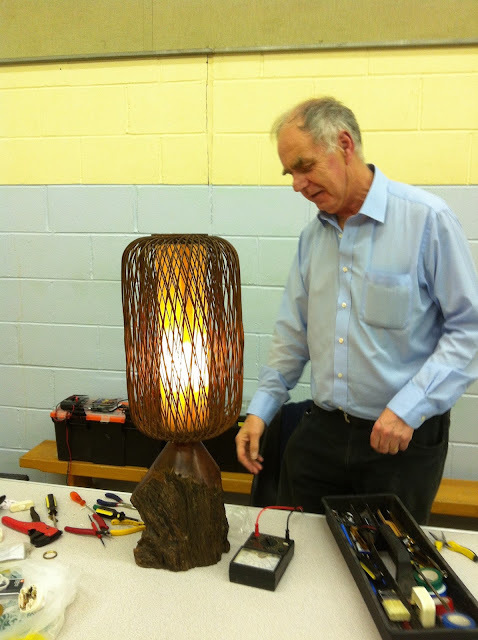 The idea is that people with the skills to fix things can attempt to mend broken items that may otherwise be thrown away. 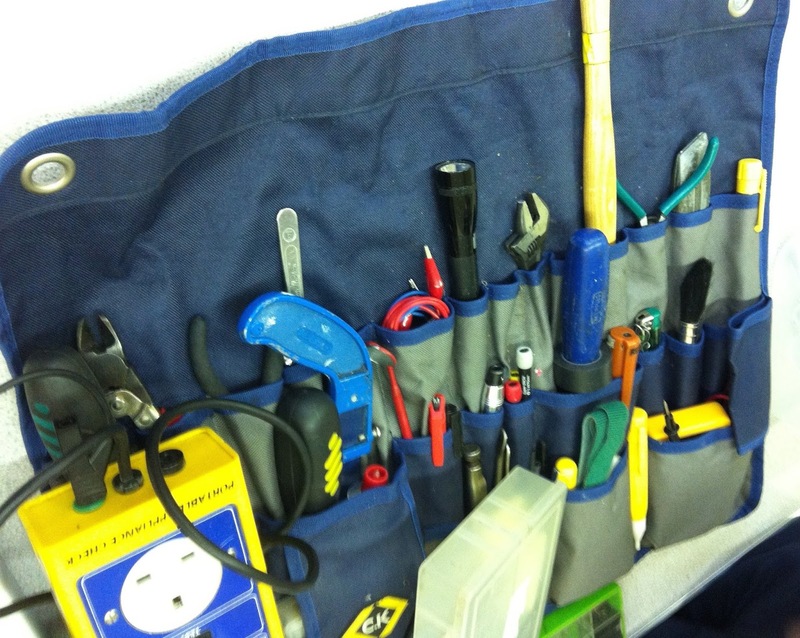 Members of the public arrive with broken or faulty radios, lamps, clocks, laptops, toys, clothes and blunt tools etc etc and volunteer engineers, technicians, mechanics and those with sewing skills get fixing. The obvious one is that an item is repaired and therefore doesn't have to be disposed of, saving resources and energy, but Repair Cafés are green for many other reasons too. They are the very essence of holistic living - people coming together and sharing their resources, dismissing (where at all possible) the idea of a throwaway society, literally! The atmosphere is friendly, welcoming and exciting - repairs have the potential to make people very happy; a loved, sentimental item that has been restored, a repair meaning that someone doesn't have to go out and spend a lot of money on a replacement and the joy when successful for the fixer. 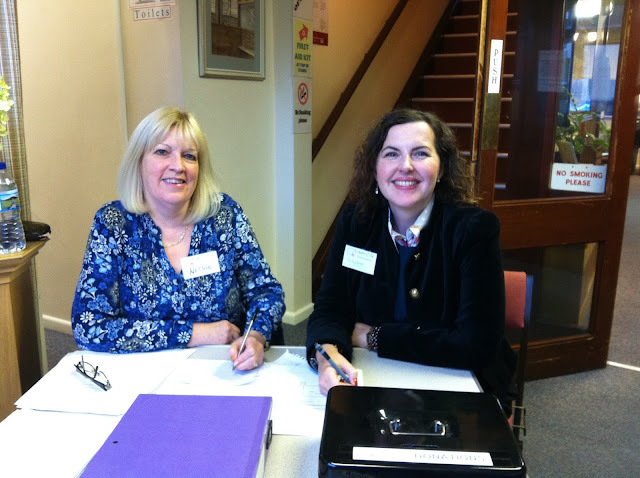 On arrival, you'll be greeted and given a form to fill in asking for details about your item(s). If there's no queue, you'll be taken through to the relevant repairer. Either way (queue or not) you can have a cup of tea. The other side is the hospitality. 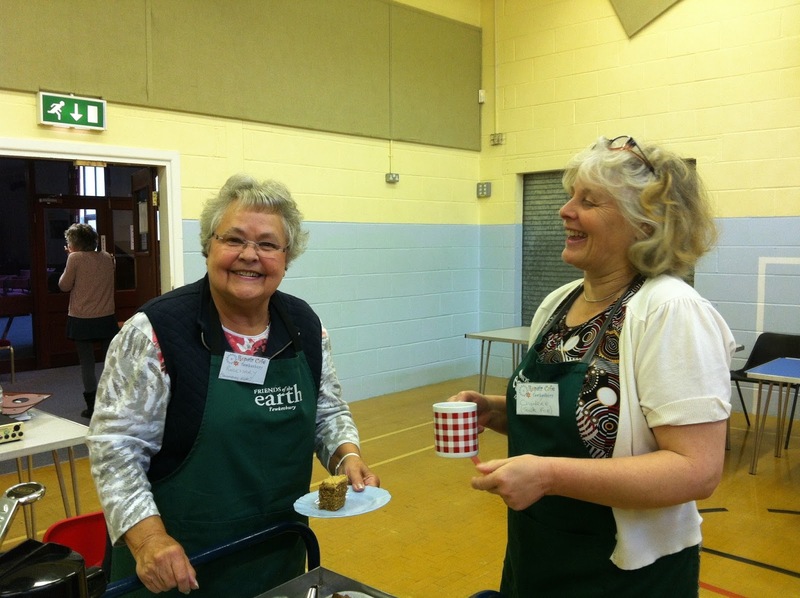 Volunteers run a café selling drinks and cakes, so that people with or without repairs can just come along and socialise, soak up the atmosphere and meet and make new friends. 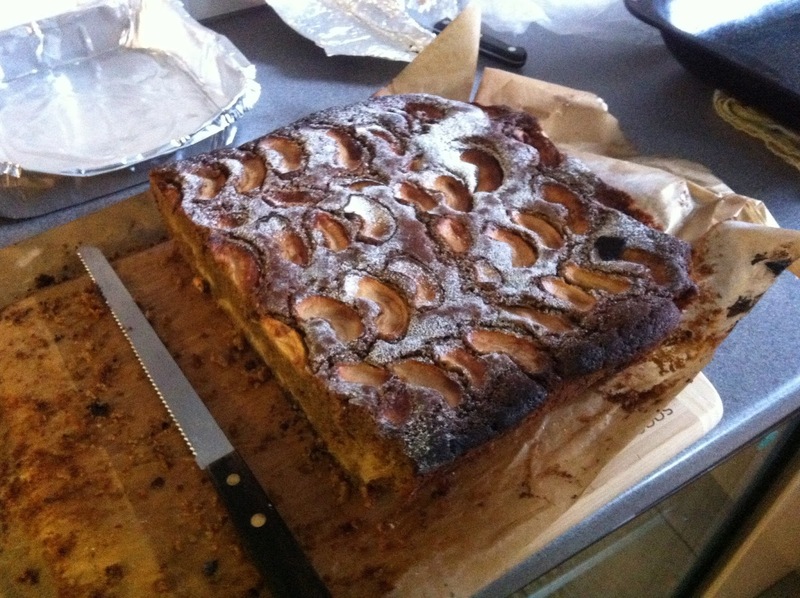 The homemade cakes are even organic at the Tewkesbury Repair Café! We live in Tewkesbury and we are thrilled to have a new Repair Café (this was the fourth session). 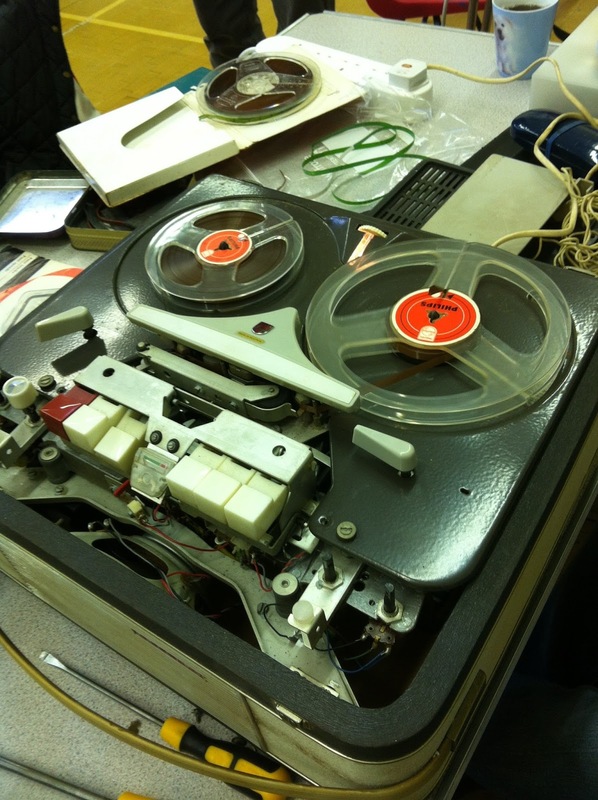 Last week, we went along with our vintage Reel to Reel machine. We hadn't tried the player, but had heard that if you don't know what you're doing, it may be wise to ask an expert to look at it first, so we took it over last Saturday. First the machine was stripped down and cleaned. 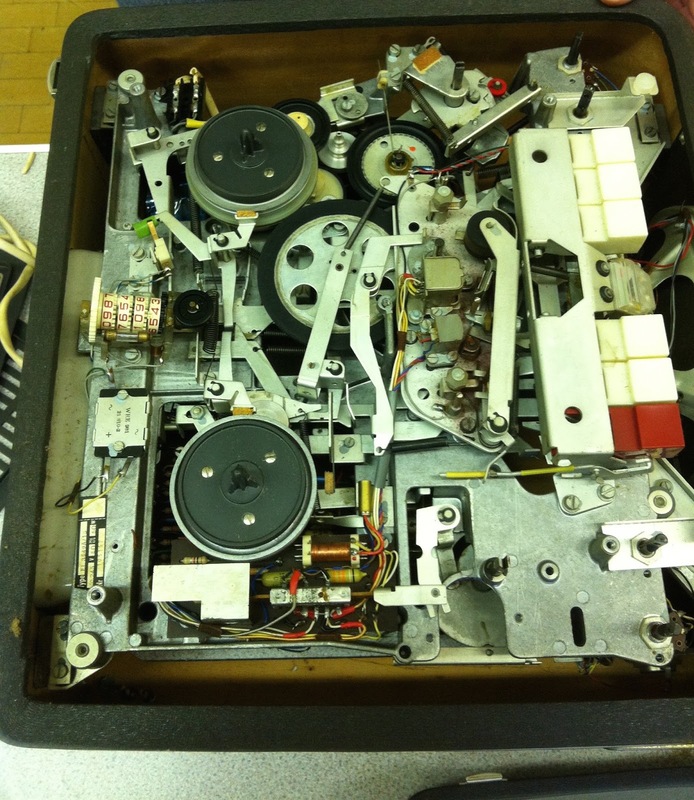 Everyone was fascinated by the player and after plenty of opening, cleaning and checking, a plug had been refitted, a temporary belt replaced the worn one and there was great excitement when Jamie attempted to play the first tape. We are yet to discover everything on the tapes, but there is definitely some vintage radio comedy and a pretty ancient Open University Reformation programme. 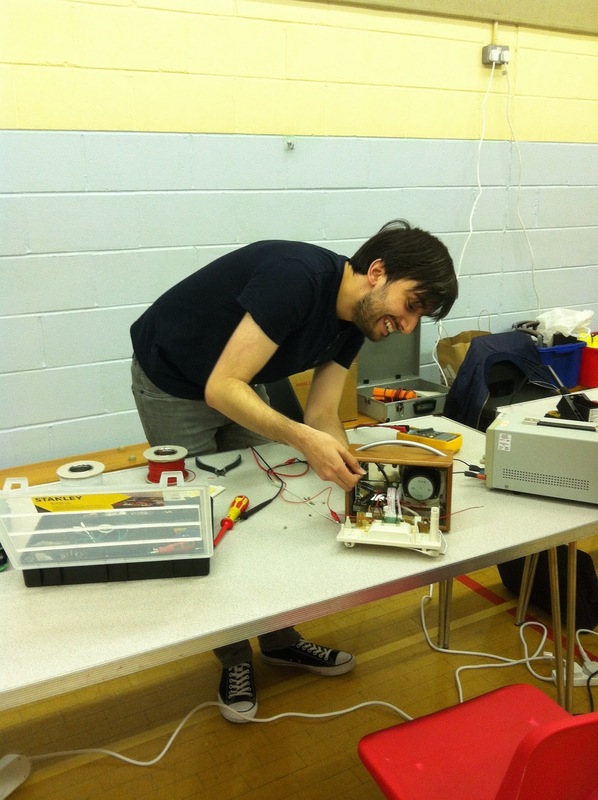 You pay for any necessary parts and are encouraged to make a donation towards the costs of running the Repair Café. Do you have a favourite toy that no longer works? 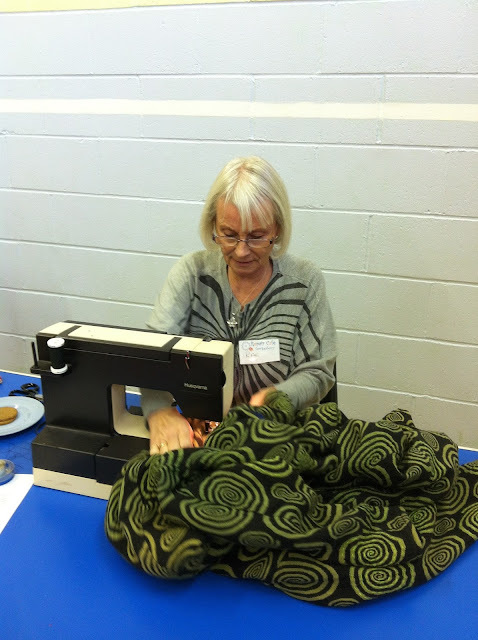 The next time something breaks, or you find a dysfunctional heirloom in the attic, instead of taking it to a recycling centre, pop it along to a Repair Café. Are you a skilled sewer, technician, or great at mending unusual things? Volunteering is said to be excellent for your mental health, as well as being an asset to your community. 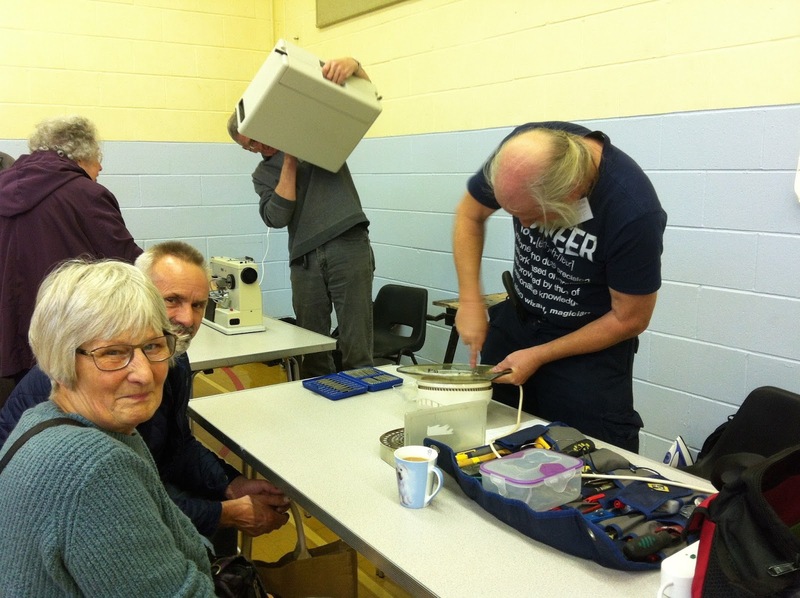 Locally we have Repair Cafés in Tewkesbury, Malvern, Nailsworth, Hereford and Worcester. Find yours here. 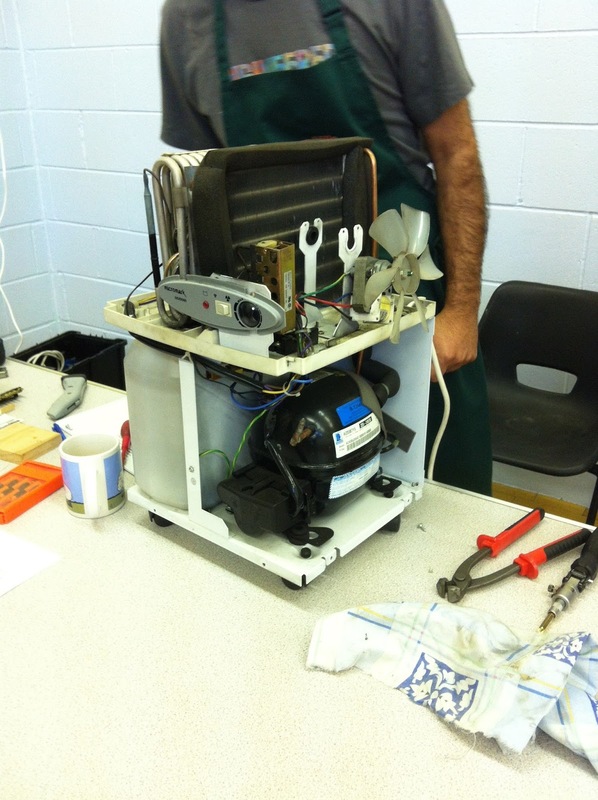 Or, if you don't have one near you, why not Start a Repair Café yourself? A lot of people have blunt tools which are consequently not working to their full capacity. You can bring them along to brighten their blades and get them gleaming again. This is one of the most popular requests. 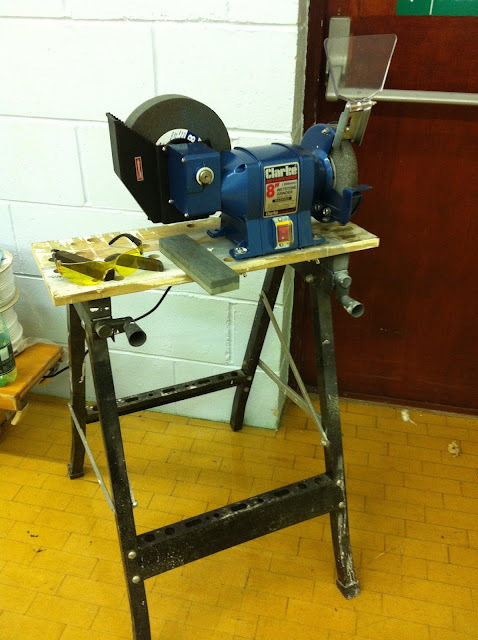 You can also bring in items that you may not want anymore, we had a spare iron which wasn't heating up terribly well. It was repaired and can now be sold by the Repair Café for a donation towards their costs. 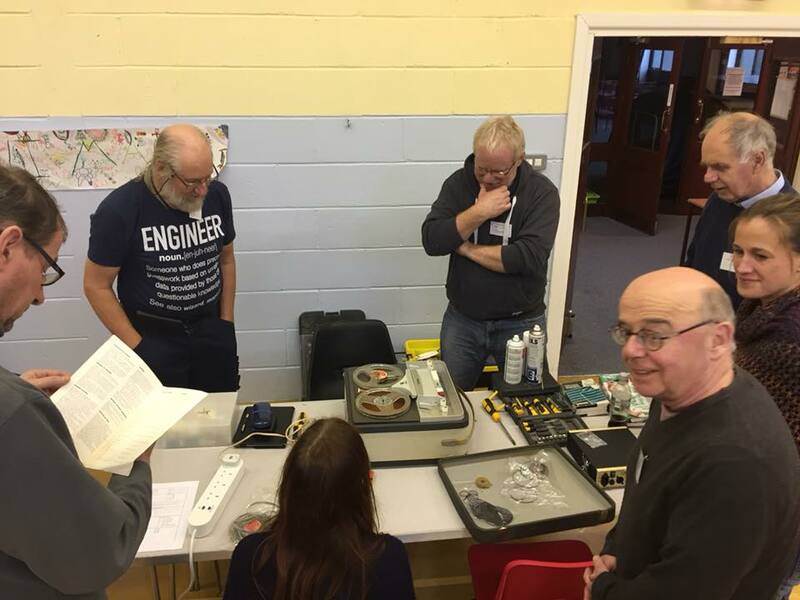 If you're local, Tewkesbury's next Repair Cafés will be held at Tewkesbury Baptist Church, 3-6pm on 13th January, 17th February, 24th March and 14th April 2018. See their Tewkesbury Repair Café Facebook page for more details. Tewkesbury Repair Café are very grateful to The Baptist Church, Tewkesbury Friends of the Earth, all of their valuable repair magicians and of course to everyone who brings in a repair. Step by step some of the flaws of modern day living can be healed and Repair Cafés get a gold star for their contribution. Welcome to plastic-free July Many people are trying to think of new ways to avoid plastics this month (and then hopefully continuing their habits). I have been asked to write a blog about this and here it is. Some things are page one and some are more advanced. This list started out as thirty-one things you could consider - one for each day in July, but it grew to thirty-seven and I will no doubt continue to add to it. 1: Soap instead of shower gel Consider soap instead of shower gel. You get used to it very quickly and wonder why you haven't been using it for years. 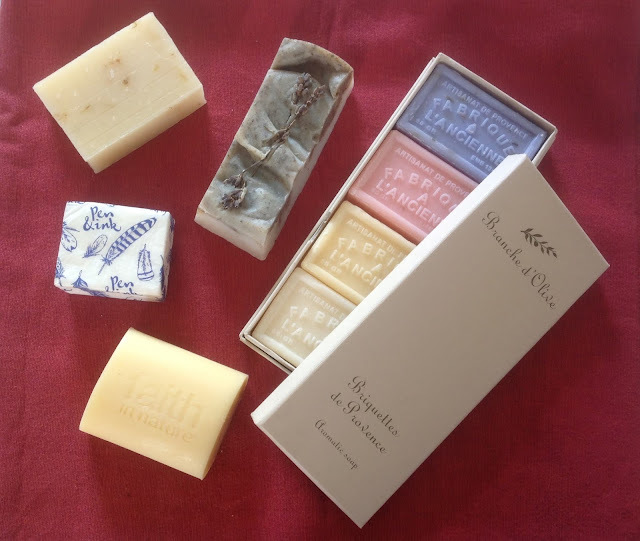 Soap can be bought loose or in cardboard boxes. Here are some beauties to inspire you. If you'd like to live in a greener way, your bathroom is a good place to start. Fact number one. Most people have way too many products in their bathrooms. I used to be guilty of it myself - I'd pop into a shop for something and come out with lots of things, (usually on offer and mostly that I never used). This is the number one rule. It easier to clean and cheaper to manage. And what you save on not buying all the things you don't need can be spent on a few organic products instead. 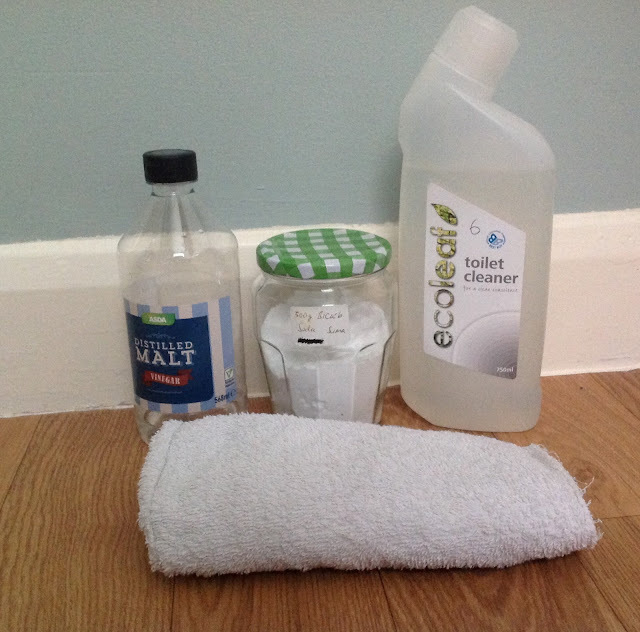 Green cleaning in your bathroom Keep it clean and it doesn't get dirty! Swill out that sink and shower after you use it, give it a quick clean regularly and the muck won't mount up. Plastic-packaged food and how to avoid it The absolute best option is DIY as there's no plastic packaging when you grow your own. You don't need much space, some things are happy to grow in pots. In fact this one self-seeded! Vegetables free from plastic wrappings If you can't grow your own, or to supplement those that you do, buy your fruit and vegetables loose. 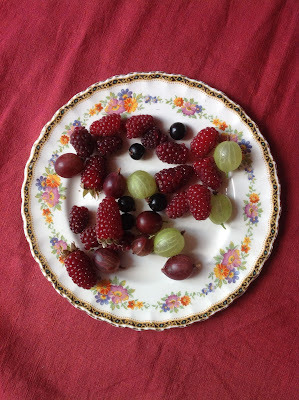 Get a veg box, use the greengrocer or independent shops. Hound your supermarkets! Some people say that if everyone avoided the plastic-covered veg and only bought it loose, the supermarkets would soon change their tactics; try avoiding plastic-wrapped veg and leave it on the shelves. I spoke to the manager of a Sainsbury's this week and he was really helpful. He'd had others talk to him as well and the more customers who ask questions regarding plastic, the quicker we'll see the changes. You'd be surprised at how much influence you can have as an individual and you'll feel empowered.